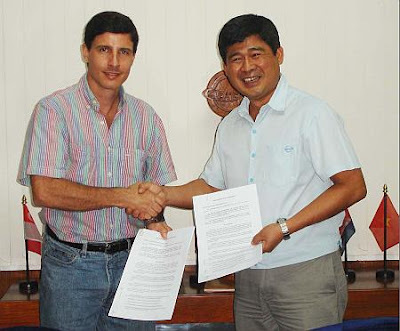 Having very similar goals of responsible aquaculture/fisheries, AQD and Ecuador’s National Institute of Fisheries signed an agreement on 3 December for a two-year collaboration to establish aquaculture facilities (eg. multi-species marine fish hatchery/nursery and demonstration grow-out ponds & cages) and to conduct training (also on marine fishes) in Ecuador. NIF is allocating over US$350,000 for AQD’s technical assistance on species/site assessment, among others.